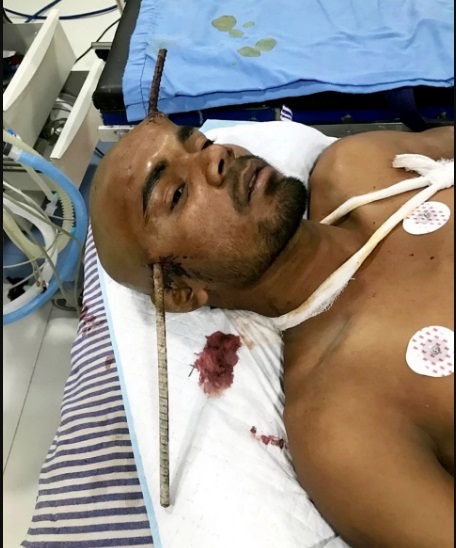 A man has lived after a steel rod speared through his head. The sad incident happened after he fell down a well. The construction worker identified as Sanjay Bahe, 21, was doing some repair work at a construction site in Balaghat, India when he fell.